Metro Hotel is situated close to high way Songjiang Interchange .From hotel you can easy going to Jhongshan MRT Station, Minquan W. Rd. MRT Station, International Airport shuttle bus stop very nearly our hotel. 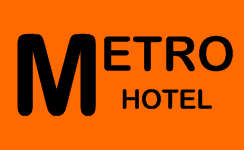 So Metro Hotel surely one of your nice options When you staying at The Taipei .......... A Simplicity of Space in Elegantly Blended European and Chinese Styles.When you walk into our hotel, our friendly hotel staff will provide good service, let you experience the feeling of ease and dignity. We are sincerely expecting your visit to enjoy the homely feeling , You could get the information of business . We'll try to help you as much as possible.Here we wish you happiness and success .